Rainwear Style : ADD TO THE TONING VIRTUE OF THE BICYCLE THE COLOR: A SOCIAL LINK. 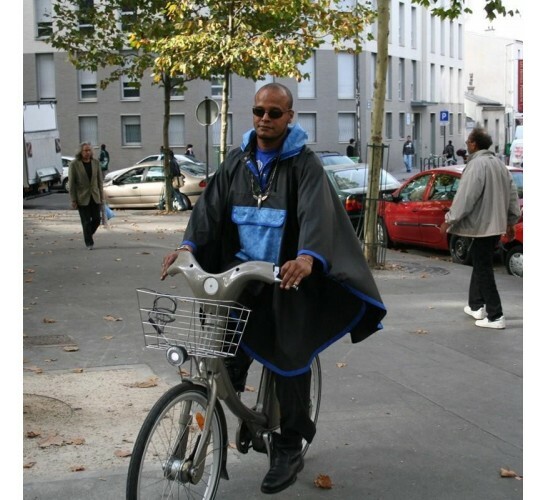 This picture was done in Paris with a velo to rent. The Parisian use it more and more because of traffic problems and the major gives them the first half an hour free which represents most of the time the distance home-work. Wherever you go, Paris, New York, Munich or the famous beach of Biarritz in France the rain cape travels with you. Here you see how the rain cape for the bicycle is cute, finally you have real sleeves but you can open the cape on the side if you wear heavy jackets underneath for wintertime. 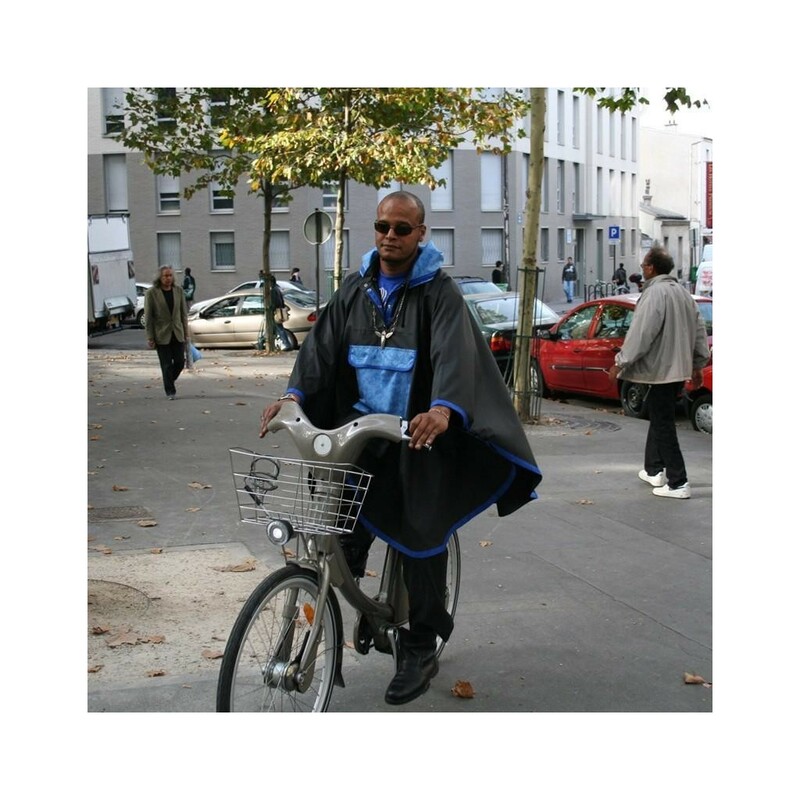 Rain cape "Qriginal Biking Poncho" designed by the artisan and fashion designer Iris Mansard. The rain cape "Qriginal Biking Poncho" is a exclusive wearable art. It is more than a raincoat, it is a travelcoat, a allweather coat, a windbreaker, a statement. This rainwear is very confortable and light, with hood detachable and closing snaps. Breathable fabric, waterproof, garantie 10 years, machine washable, no creasing. Free shipping, high quality product and after sales services.